“The only transcendence that remains is that of oneself over oneself, that of an authentic ego over an inauthentic one” –Luc Ferry, Man Made God. J.D. 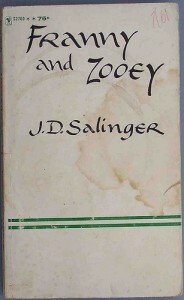 Salinger may be the quintessential American author of the “authentic.” His most well-known character, Holden Caulfield, is obsessed with a “phony” world in which no one values innocence and sincerity, where people love bad movies and ignore true moments of beauty. This obsession has been the source of derision and popularity for The Catcher in the Rye. Critics dismiss Caulfield’s adolescent whining as egotistical, while fans of the novel sympathize with his desire for something really beautiful and true in an increasingly profane and mediated age. But whatever you think of Holden, his anxiety is instructive for those of us who live in a culture where personal image has become formalized through social networks. Holden felt ill when he witnessed someone self-consciously putting on a public image. For example, he tells us that whenever he heard someone say that something was “Grand” he would want to puke. Like so many words of our own time, “Grand” became an empty, clichéd term of vague approval that only served to trivialize whatever it referred to. It would be like if someone asked us how married life was treating us and we replied, “Awesome”–a diminutive in the shell of a superlative. This kind of artificiality drives Holden to a breakdown, but it also creates in him a deep hunger for the innocent and sincere. In a world where everyone appears to be pretending all the time, Holden loses his orientation and can no longer feel where he belongs. Maybe you can’t imagine wanting to vomit when someone says “Awesome!”, but Holden’s anxiety is a basic modern one: if our identity is the most basic and essential thing about us, the thing that we can know and which defines us and our worth, then our greatest fear is an identity crisis–when we no longer know who we are. But Holden discovers that almost the whole of society is suffering from an identity crisis that they refuse to acknowledge, and so everyone just goes around acting, playing the part of a secure identity, when really, there might not be any authentic Self beneath all our “grand” posturing. 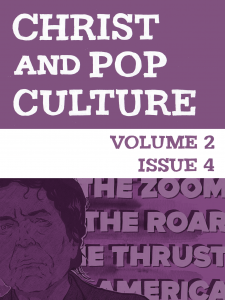 Read more in this issue of CaPCMag! Since The Catcher in the Rye‘s publication, “sincerity” or “authenticity” has only grown as contemporary virtue, precisely because we continue to believe that the most basic and essential thing about us is our identity. And, of course, the industry of identity promotion has only grown exponentially since Holden first complained about corny movies. Some of the most powerful businesses of our time are services which help us carefully shape and share our public image: Facebook, Twitter, Instagram, Tumblr, LinkedIn, etc. We are lucky if we can to listen to music without unintentionally announcing to all our friends what song we’re currently listening to (thanks, Spotify!). I don’t think Holden would get out of bed in 2014, I really don’t. The very thing he finds so repulsive about his world has become the center of our social existence. So, it’s really not surprising that we find such a strong movement towards sincerity and intentionality. Most of us would rather embrace self-image-making technology and work harder to create an identity that makes us feel fulfilled and meaningful. But for many people, that’s just not an option. We have to believe we are being something true. But I think if Holden saw me reading Kinfolk Magazine on a bus, he’d call me a phony, still. And he’d probably be right, in a sense–a concern that Ethan McCarthy raises later in this issue. Salinger’s novels are hardly Christian in their “worldview,” but there is some deep, common grace truth in this conclusion, one that I believe contemporary culture and the church would do well to heed. Because the most basic and essential truth of our existence is not our identity, but Christ’s. And so any quest for our “authentic self” will end poorly. And perhaps Zooey’s right. Perhaps we need to turn our attention and energy outward, toward others, seeking to act faithfully and excellently in everything we do, as we do it unto the Lord. Interesting meditation, Alan. Also, I like the new digs! It seems to me as though both Franny and Zooey, on your reading, are still missing something that would give them access to reality, rather than to their own feelings (about themselves, about others, about how others feel about them). I’m not sure self-abnegation “for others” is *enough* better than self-abnegation for its own sake–though there is ZERO doubt that it *is* better. I really like how you structure the second book as a progress from the first, though. Sure, false consciousness is a problem–the heart is deceitful above all things–but we have to move past a tendency to reject the appearances because we can be self-deceived about them. Sincerity begins with repentance, and suffers the reality of sin and deceit, in order to move beyond moribundity and into an eternally-flourishing life.